POP Vinyl Revealed! Funko Iceman Specialty Series Exclusive! 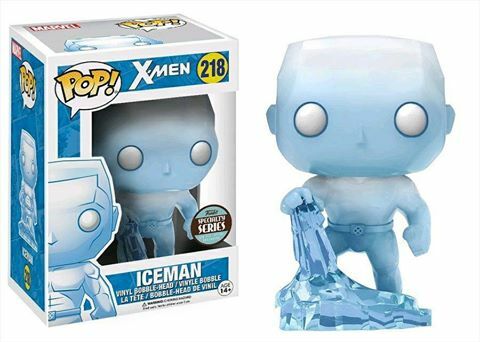 Way back in summer 2016, Funko released their first-ever Iceman vinyl figure as part of a SDCC 2016 Exclusive Dorbz X-Men 3-Pack. Following that up, the Hot Topic exclusive Iceman Mystery Minis figure arrived at retail this winter (an appropriate season for Iceman to be released). We’ve been wondering since last summer when and where we’d finally get an official Funko Iceman POP Vinyl figure, but now we wait no more: the Specialty Series Iceman POP figure has now been announced! For whatever reason, Funko seems to see Bobby Drake as a character that’s just perfect for producing in limited numbers and not as a mass retail item. 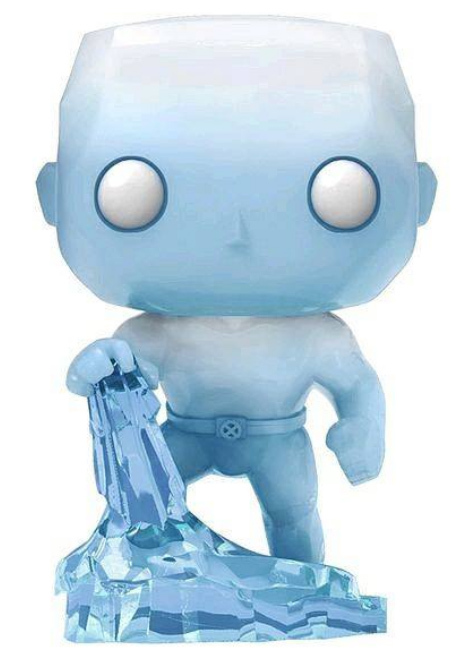 As Iceman is a popular founding X-Men member, I’ve no idea why that is, but the important thing is that Iceman will finally be arriving in Funko’s largest and most collected line this spring: POP Vinyls! 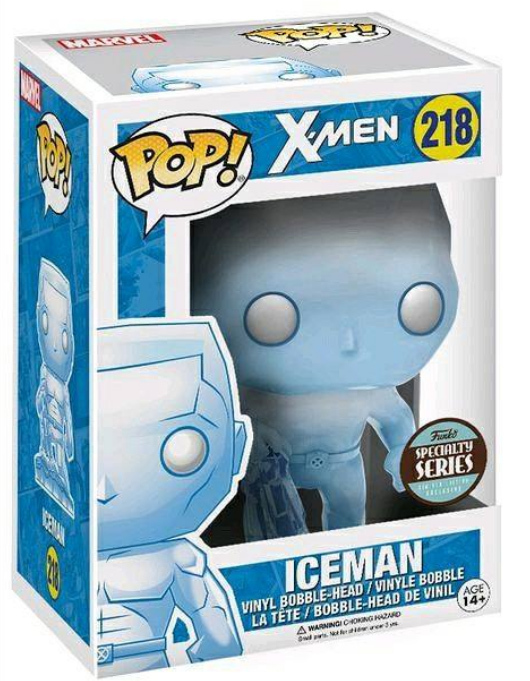 The X-Men Funko POP Vinyls Iceman figure will feature unique number designation #218 in the Marvel number sequence, and will be available only via smaller specialty stores and comic book stores. So “no” to Hot Topic, Entertainment Earth, Walmart, Target, Toys R Us, and so forth stocking this exclusive, but “yes” to Big Bad Toy Store and local comic shops. The Iceman Funko figure itself looks really neat to me, with a fully translucent blue ice slide out front and the Bobby Drake vinyl itself in painted form with lots of subtle shading added. This is definitely one of the coolest (I swear, no pun intended) looking POPs that I think Funko has ever produced. The Specialty Series Emma Frost POP Vinyl sold out in hours when it went up for sale last year (although you can still get the POP Emma Frost for a couple bucks over retail online), and I’d be quite surprised if Iceman doesn’t follow suit in the same short time frame (and maybe even faster, since he’s a much higher profile character than the White Queen). BigBadToyStore usually posts these Specialty Series figures for pre-order within hours of their being announced, so be sure to check their site frequently today if you want to lock in a POP Iceman figure of your very own. I don’t think there’s much doubt that he will go fast. Thoughts on Iceman as the latest limited exclusive Marvel Funko POP Vinyls figure, Marvel collectors? Do you think Iceman is a good choice for an exclusive, or are you of the mind that there won’t be enough of this iconic character to go around in this form?